MANDURAH swimmer Rebekah Weller is spending up to 18 hours a week in the pool as she prepares to compete in the NSW Open Water State Championships, after being the first woman to complete this year’s solo Rottnest Channel Swim. Weller (23) is swimming 90km a week to build up her endurance for the summer season, which she hopes will give her stronger preparation for the Australian National Championships in 2018. She completed the Champions of the Channel Rottnest solo crossing in a time of four hours and 52 minutes. 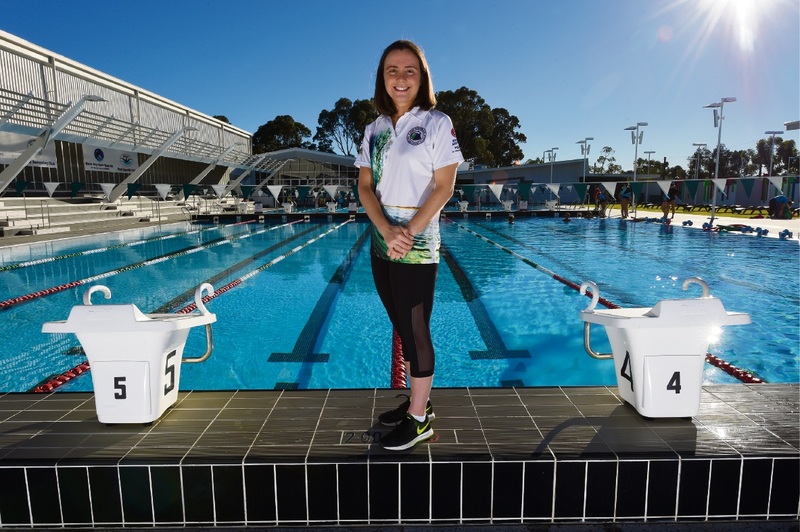 She also came eighth in the women’s open at the 2017 Australian open water nationals earlier this year, narrowly missing out on a spot on the national team, and was the City’s Sportsperson of the Year in 2016. Weller started club swimming when she was seven and says she loves the feeling of euphoria that swimming gives her. In early 2014, Weller was told by a medical professional to give up competitive swimming due to health issues. But her love for swimming was too strong for her to give up. Weller has been swimming with the Peel Aquatic Club for 10 years, with the younger swimmers seeing her as a role model. She is also in the fourth year of a physiotherapy degree and expects to graduate from Curtin University at the end of this year.